This entry was posted in Northeast US Events on March 20, 2019 by Teanu Reid. As we think about the long 1950s (1948-1962) in Jamaica, we think in terms of a series of displacements. The period begins with the sailing of the H.M.T. 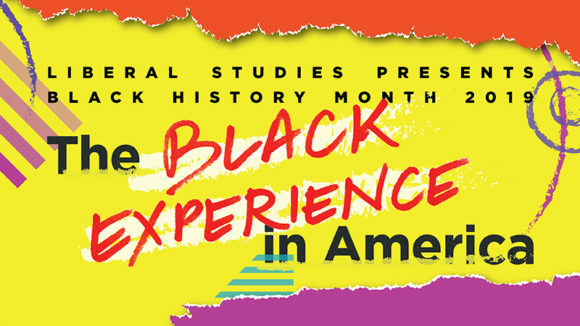 Empire Windrush to London, the establishment of the University of the West Indies, and Evon Blake’s integration of the Myrtle Bank pool. The 1949 elections result in another, though reduced, Jamaica Labour Party victory, and the solidification of the two-party system. Throughout the 1950s we see the beginnings of developmentalism in the aftermath of the Moyne Commission; the deepening of the Cold War and the expulsion of the left from the People’s National Party; the growth of Rastafari, and the emergence of scholarship on the movement; and the stirrings of a “folk” arts movement, as well as the emergence of aesthetic languages of painters like David Pottinger and Albert Huie. On the global stage, the 1950s inaugurates a growing recognition of Jamaican popular music through figures like Byron Lee and Don Drummond; of Jamaican sprinting prowess through Olympic medalists Arthur Wint, Herb McKenley, and George Rhoden; and of literary influence through the publication of Vic Reid’s New Day, Roger Mais’ Brother Man, and John Hearne’s Voices Under the Window, among others. The firm establishment of the social sciences at the UCWI and the appearance of texts like Douglass Hall’s Free Jamaica, and M.G. Smith’s work on pluralism generates an interrogation of both the legacies of the past and the promises of nationhood. Within other organs, too, these legacies and promises were publicly debated. The period also marks the moment during which questions of “women” and “gender” begin to emerge on the scene of scholarly, literary, and artistic production. The period ends with the dismantling of the West Indies Federation and the independence of Jamaica and Trinidad. This entry was posted in Northeast US Events on March 17, 2019 by Teanu Reid. 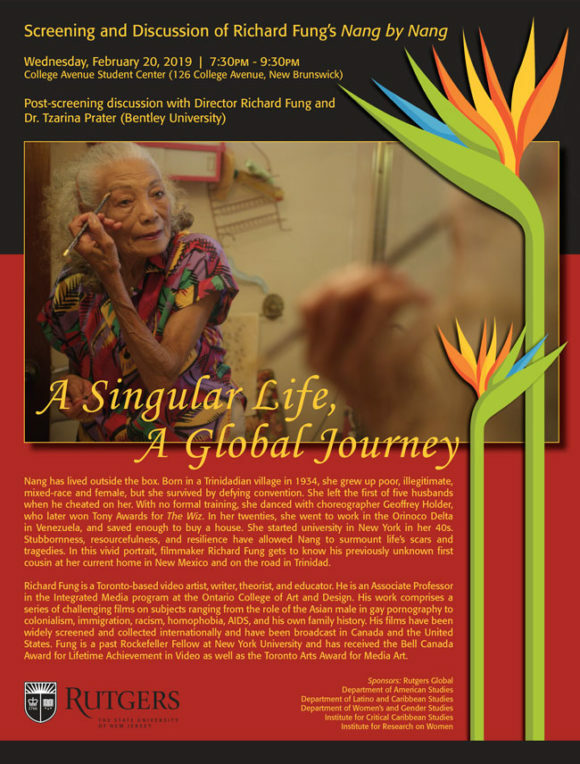 Description from the Caribbean Film Academy website: Caribbean cinema is at a high point critically and artistically, in the ways its filmmakers thrill, entertain, and inform audiences globally. 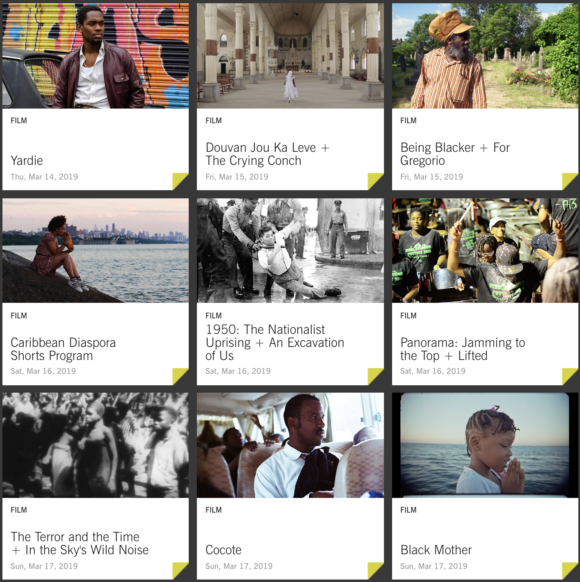 This four-day festival marks the five-year anniversary of the Caribbean Film Series, providing an unparalleled platform to reflect on the Caribbean and its diasporic experiences, in new and unconventional ways. This entry was posted in Northeast US Events on March 11, 2019 by Kelly Baker Josephs. Join Jeannette Ehlers (Denmark/Trinidad), Ellen Nyman (Sweden), and La Vaughn Belle (St. Croix) for three events in a series of conversations on the aesthetics of decolonization. These artists will discuss how their art practices across different media are designed to provoke conversation about colonial legacies and contemporary racial politics on the ground in Sweden, Denmark, and St. Croix. This entry was posted in Northeast US Events on March 4, 2019 by Teanu Reid. This entry was posted in Northeast US Events on February 17, 2019 by Kelly Baker Josephs. Ulysse is a feminist artist-anthropologist-activist and self-described Post-Zora Interventionist. She was born in Pétion-Ville, Haïti. Her various creative projects include spokenword, performance art, and installation pieces. Her poetry has appeared in several journals and collections. 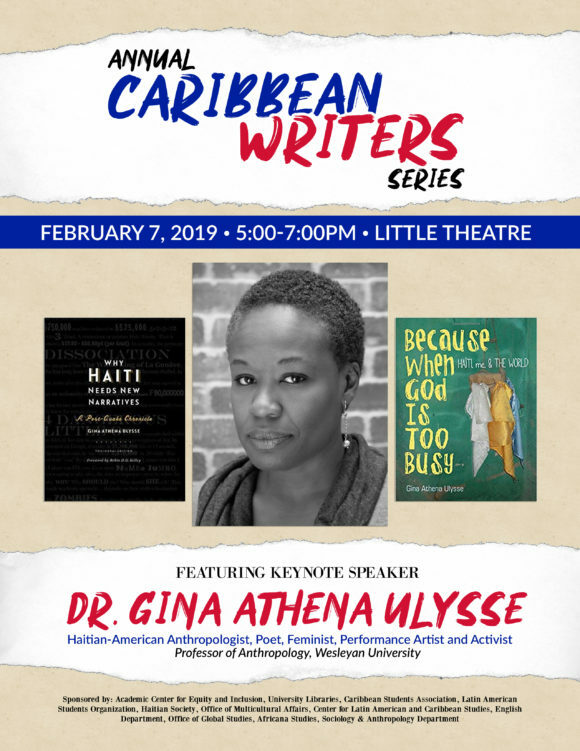 Her books included Downtown Ladies: Informal Commercial Importers, a Haitian Anthropologist and Self-Making in Jamaica (U of Chicago, 2008), the trilingual–English, French, Haitian Krèyol—Why Haiti Needs New Narratives: A Post-Quake Chronicle (Wesleyan UP, 2015), and Because When God Is Too Busy: Haiti, me & THE WORLD (Wesleyan UP, 2017). She is currently Professor of Anthropology at Wesleyan University in Middletown, Connecticut. Reception to follow the lecture/performance/reading, in the Inclusivity Resource Center (IRC). This entry was posted in Northeast US Events on January 27, 2019 by Teanu Reid. 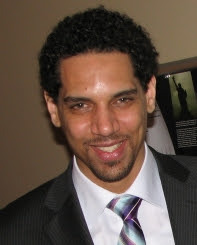 Dr. Matthew Reilly is an anthropological archaeologist interested in race formation processes, whiteness, and colonial modernity in the Atlantic world. His work on the Caribbean island of Barbados, the subject of his forthcoming book, Archaeology below the Cliff: Race, Class, and Redlegs in Barbadian Sugar Society, explores how a group of poor whites known as the Redlegs fit within the social matrix of a system of sugar production and slavery. He is currently working on two related projects in Barbados and Liberia. His work in Barbados focuses on heritage management and the process of building futures with the material remains of the dark histories of plantation slavery. He is also collaborating on a project in the West African nation of Liberia investigating a small village established by Barbadian settlers in 1865. The project uses archaeological and ethnographic approaches to explore the process of “reverse diaspora” and settler-native interactions. 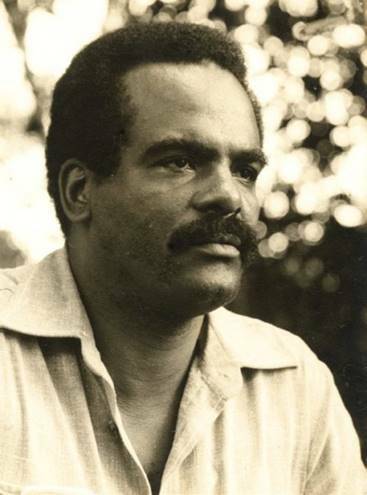 At the heart of his research is a critical exploration of the complex relationships between slavery and freedom, colonialism and sovereignty, race, class, and capitalism, the social construction of race and structural racism, and the past, present, and future. Above text adapted from webpages. Click here and here for more information. This entry was posted in Northeast US Events on November 7, 2018 by Teanu Reid. The symposium brings to the fore scholars and artists who apply Édouard Glissant’s theories to shed light on inter-communal relations, expose the power dynamics of the privileged versus the marginalized, advocate against boundaries while acknowledging difference, contest dominant hierarchies of race, ethnicity, and gender, and show how texts normalize some groups and make others “other.” The symposium celebrates the many perspectives of the Tout-Monde and brings the “periphery” back to the center of discourse, mindful of the powerful Glissant-inspired motto “Les Périphériques vous parlent!” (The Periphery is speaking to you!). Speakers include: Mohit Chandna, Nathalie Etoke, Emmanuel Bruno Jean-François, Jarrod Hayes, Sylvie Kandé, Cilas Kemedjio, Barbara Webb, Christopher Winks, Pedro Zylbersztajn, and others. This entry was posted in Northeast US Events on November 4, 2018 by Teanu Reid. This Fall semester, the Henri Peyre French Institute, the PhD Program in French, and the Center for the Humanities at the Graduate Center, CUNY will host a series of seminars honoring the legacy of Édouard Glissant, who taught here from 1995 to 2011. Each of the informal seminars—held in the French Department thesis room where Glissant taught––will be led by one of his former students on a topic of their choosing, ranging from their personal experience with Glissant to the themes in his work and its ongoing influence across disciplines. Offering an intimate at-one-remove experience, these one-hour seminars will be open to 10–15 participants. 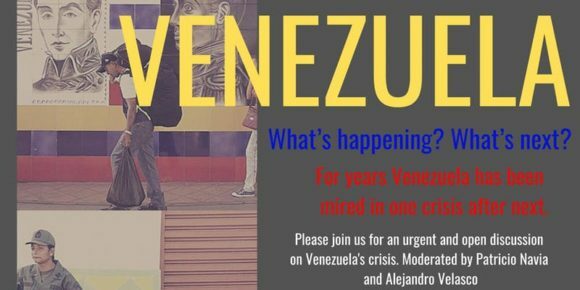 To attend, participants must RSVP on Eventbrite (see links to RSVP below). Maximum capacity is 10–15 persons due to the size of the seminar room. 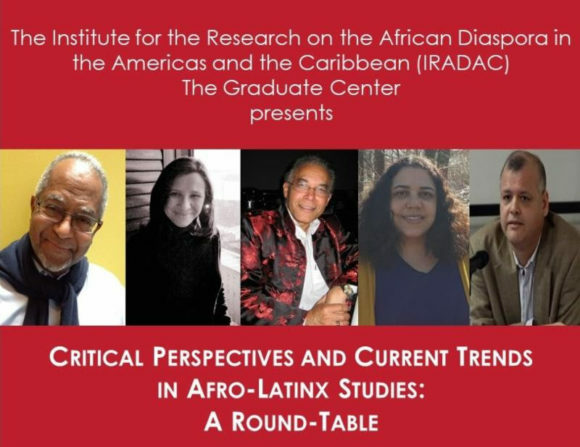 Friday, November 9, 3-4pm: Led by Chadia Chambers-Samadi, Assistant Professor of French, University of the Bahamas. Click here to RSVP for this seminar. Tuesday, November 27, 1-2pm: Led by Hamid Bahri, Associate Professor of French and Francophone Studies, York College, CUNY. Click here to RSVP for this seminar. Friday, November 30, 1-2pm: Led by Eric Lynch, Assistant Professor of French, Midwestern State University, Wichita Falls, TX. Click here to RSVP for this seminar. These seminars are in tandem with the exhibition Lydia Cabrera and Édouard Glissant: Trembling Thinking at the Americas Society (Oct. 9, 2018–Jan. 12, 2019), and the symposium “Édouard Glissant’s Tout-Monde: Transnational Perspectives” at the Graduate Center, CUNY (Fri, Nov 16, 2018, 12:45 PM – 7:00 PM). Co-sponsored by the Henri Peyre French Institute, the PhD Program in French, and the Center for the Humanities at the Graduate Center, CUNY. Above text adapted from webpage. Above image adapted from email. 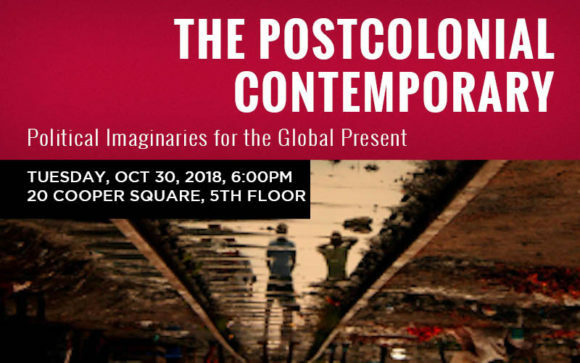 In twelve essays that draw from a number of disciplines—history, anthropology, literature, geography, indigenous studies— and regional locations (the Black Atlantic, South Africa, South Asia, East Asia, Australia, Argentina) The Postcolonial Contemporary (Fordham UP, 2018) seeks to move beyond the habitual oppositions that have often characterized the field: universal vs. particular; Marxism vs. postcolonialism; politics vs. culture. The essays reckon with new and persisting postcolonial predicaments, doing so under four interrelated analytics: postcolonial temporality; deprovincializing the global south; beyond Marxism versus postcolonial studies; and postcolonial spatiality and new political imaginaries. Join us to celebrate this new volume and to reflect on the project with the book’s editors, Jini Kim Watson and Gary Wilder, and several contributors. This entry was posted in Northeast US Events on October 28, 2018 by Teanu Reid. The exhibit will be on view from Saturday November 3rd to Saturday November 10th Open every day from 10am to 6pm. 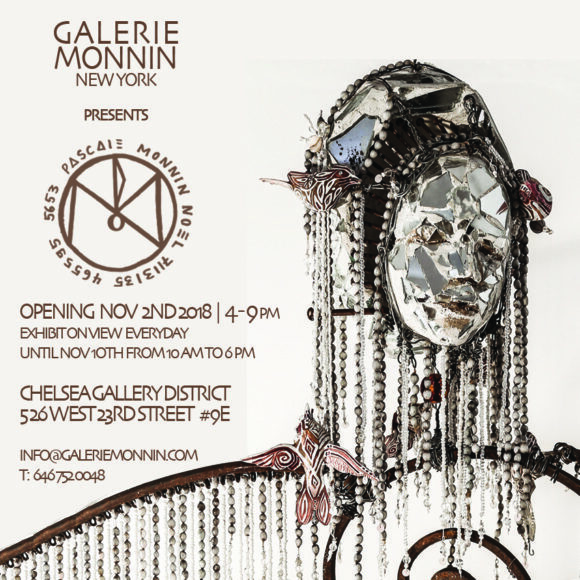 Pascale Monnin last exhibited in Manhattan 5 years ago. This November, she returns to the city with [Decodings], a solo exhibit organized by GALERIE MONNIN NYC. [ Decodings ], both a celebration of the world and an evidence of Monnin’s estrangement from it, presents more than a hundred paintings, mobiles and sculptures. Punctuated by Monnin’s obsessions: history, politics, debt, myths, complexity, animals, plants, life, childhood, time, movement, the sacred, faces, vertigo…, it reveals many facets of her artwork and displays a world of warring births, dazzling impulses, hybrid forms, with reckless nuances of a childhood spreading sometimes cast in stone, sometimes lying on the frame as the art spills over.